Romeciti is a real estate development business in Sydney, inspired by the idea of a green future. They have taken a novel approach to ensuring all projects are steeped in nature. Romeciti’s Green Philosophy, sees ‘green’ as more than just a buzz word. It’s their mission to promote sustainability and the idea of living green through green residences – which are healthier for residents and the planet. Abundant leafy rooftop gardens, native plants for landscaping and investments in sustainable design and technologies. 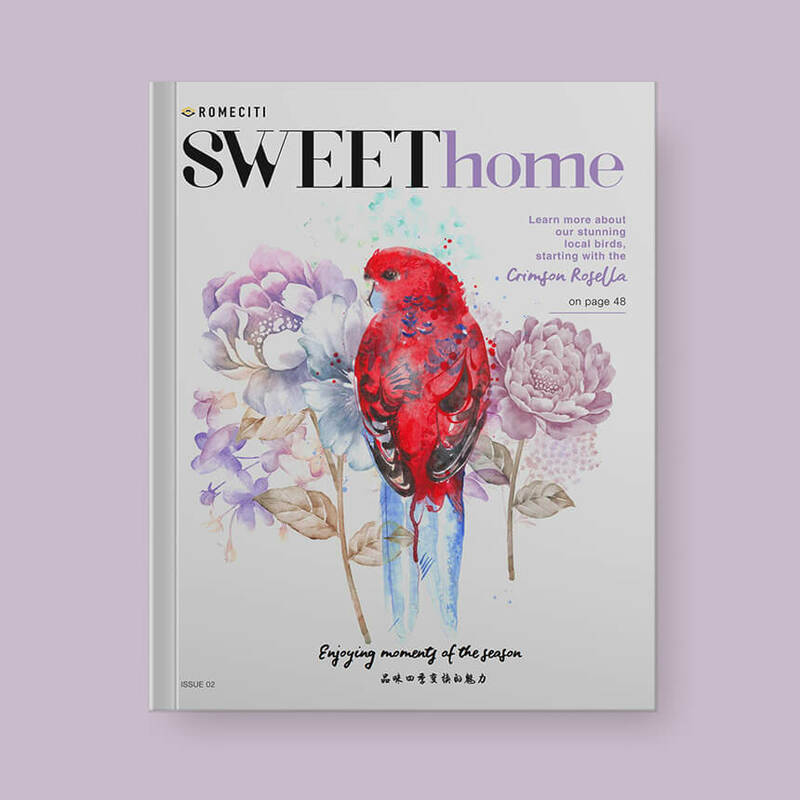 Romeciti’s Sweet Home is a magazine which features Green Life living – Our homes and how we live in them says a lot about who we are and the values we hold true. 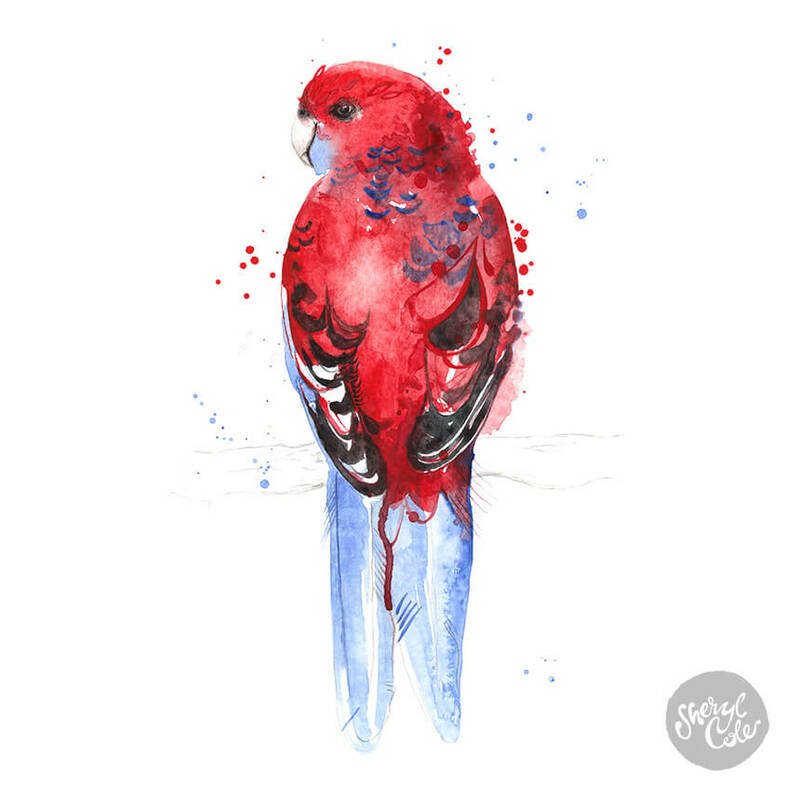 Like views attracts like - which is why it was such a delight when Romeciti approached me to create this Crimson Rosella for the cover of Sweet Home magazine issue 2. Click here to view online version.